First it's crucial to manage your expectations. The tweaks will not allow drivers to sit under the rear wing of the car ahead without any trouble and launch audacious passing moves, but they should slightly mitigate the problem. What matters is that this represents an attempt by the FIA to apply some of the findings of the research conducted by F1 that will underpin the far more substantial rule changes currently scheduled for 2021. Nikolas Tombazis, the former chief designer at Ferrari, joined the FIA in March last year as head of single-seater technical matters. Almost immediately, he threw himself into the task of evaluating what measures planned for F1's long-term rules could be brought forward to this year. "The 2017 regulations achieved the chief objective of increasing lap performance but made the ability of the cars to follow each other worse compared with '16," says Tombazis. "So we were faced with four years of a worsening trend until '20 and hoping for a big solution in '21. "So soon after I joined the FIA, in discussing it with the president [Jean Todt], we decided that we couldn't really wait four years before we do something. Time was quite short to act on it, and the amount of intervention was not massive. "We had to obey the process for rule changes so needed a fair degree of support from the teams, and we had to achieve it before April 30, after which we would have needed unanimity from the teams, which would have been virtually impossible." This was the political angle. Despite some dissent, notably from Red Bull, the proposals were agreed by the majority. The primary objective is to mitigate the 'outwash' aerodynamics, whereby the teams turn airflow outside of the front wheels to reduce drag. This became de rigueur when the 2009 regulations increased the width of the front wing, and teams then had to be more aggressive when the front wing was narrowed by 150mm in the '14 regulations. 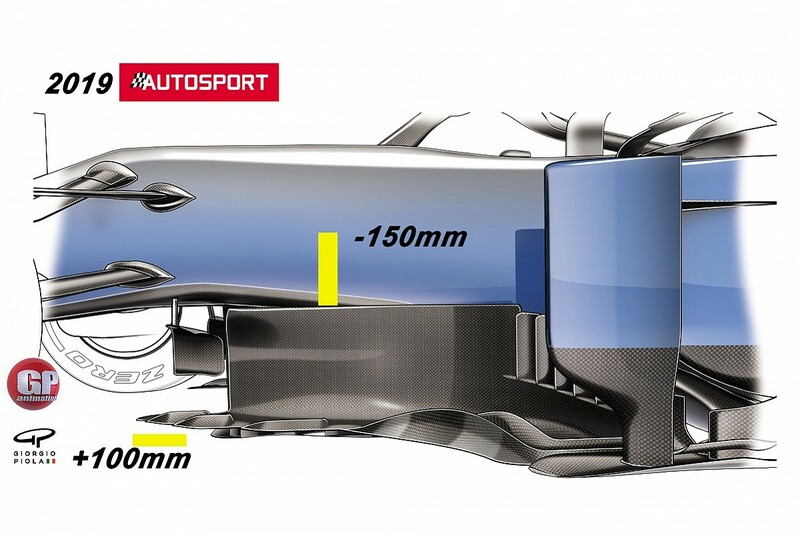 The changes comprise an increase in front-wing width from 1800mm to 2000mm (the full width of the wheels), plus a 25mm increase in the depth and endplate height. 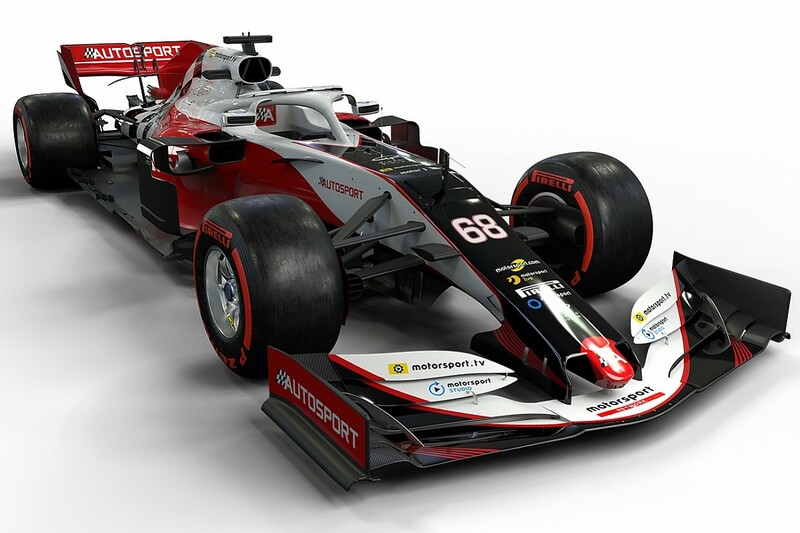 There's also a reduction in the number of elements on each side to five, with the number of strakes under the front wing limited to two on each side. The geometries allowed are also more restricted, to reduce outwash, and the brake ducts simplified. 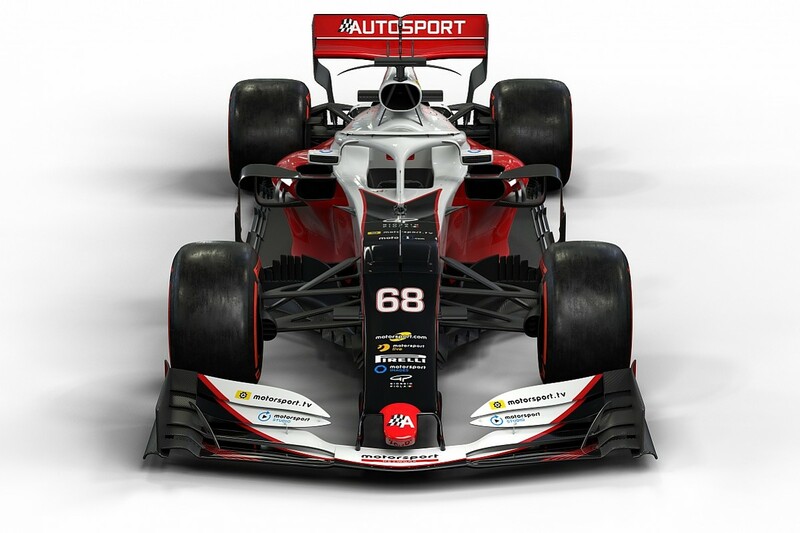 The bargeboards have been lowered by 150mm (an incidental change unrelated to this process, designed to increase sponsor visibility), and also moved forward 100mm. At the rear of the car, the rear wing has been raised by 50mm, and been made 100mm wider and 20mm deeper. "One of the key things aerodynamicists try to do is move the wake of the front wheel outwards," says Tombazis. "So good teams maybe make it clear of the rear wheel to some extent, and not to go under the car and screw up the performance of the bargeboards and diffuser and so on. "Control of this wheel wake is achieved with a multitude of vortices that come off the various devices - the endplates, the front-wing furniture, the various devices on the brake duct and so on. "All of these together create a very complicated flow structure that pushes the wake outwards. This is a good thing for performance, but a bad thing for the following car. "On the other hand, flow reaching the longitudinal position of the rear wing can become entrained in the very strong trailing vortices, and from there get pushed inwards and upwards. "This creates a sort of mushroom. This mushroom is a good thing since it does take a lot of the dirty airflow sitting in the middle and low down and pushes it quite high up. This void is filled in by fresh flow from the outside, so when the car behind reaches it, it encounters a much cleaner airflow. "Part of what was found out for 2021 was that if this wheel wake was further in, it would be dragged into the mushroom more effectively. And if it was quite far outboard, it would be pulled in but not pushed up. So the remains of this wake would have a negative effect. "The key thing we tried to do for 2019 was to reduce the authority of the front wing to control this parameter, to control the wake and reduce the chance for the brake-duct area to do the same thing, and to empower the rear wing to have a stronger vortex, moved to a slightly better position to pull this wake in a better way. "Initially, teams were quite negative. We presented the rules that would massively simplify this area, improve how the wake of the wing is handled and the Y250 vortex [the high-energy vortex created by the transition between the FIA-mandated neutral section in the middle of the front wing and the outboard section]. "They were quite reluctant to support it, so just after the Bahrain Grand Prix in April 2018 we offered the teams the chance to do some investigations on this phenomenon on a voluntary basis to see for themselves whether this was a valid hypothesis. Eight out of 10 teams participated and sent us a report. Broadly speaking, they all more or less confirmed those trends." The increase in front-wing dimensions seems counter-intuitive. Making the front wing the full width of the wheels means the airflow needs to be turned less to achieve outwash, which is counter to the objectives, but some concessions were made to ensure overall downforce levels and aero balance were within acceptable windows. 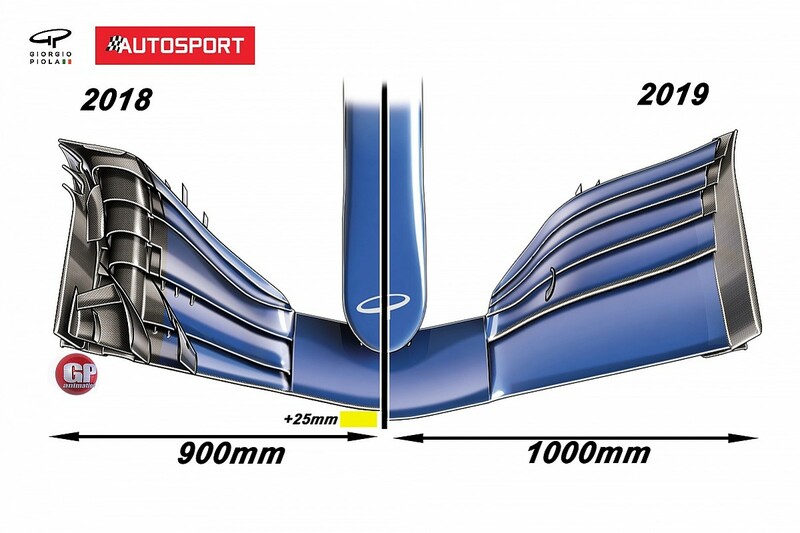 "We did go for a slight increase in the wing dimensions, just because we couldn't predict exactly how powerful the front wing would be and whether the car would be balanced enough," says Tombazis. "You fundamentally want cars to be able to develop approximately 46-48% aero balance and you don't want that to be too marginal or even unachievable. So, it is better to have a wing that is slightly overpowerful than to have a wing that's underpowerful." All of this sounds rational, but also perhaps very similar to what's been said in the past. What's crucial here is the level of research that's gone into the rules. Even though this set of changes only represents cherry-picked and modest ideas that are driving the 2021 research, it is underpinned by rigorous analysis. It is this that also means the impact will be limited, because this is a long way from the full story. Some teams suggest the reduction in outwash will only be small and perhaps even negligible. "All the rule changes that have taken place in the past have had less aerodynamic research done, with the exception of the 2009 regulation change," says Tombazis. "That rules package had considerably more time than we had and worked at reasonably decent solutions but failed because the rules were overpermissive. 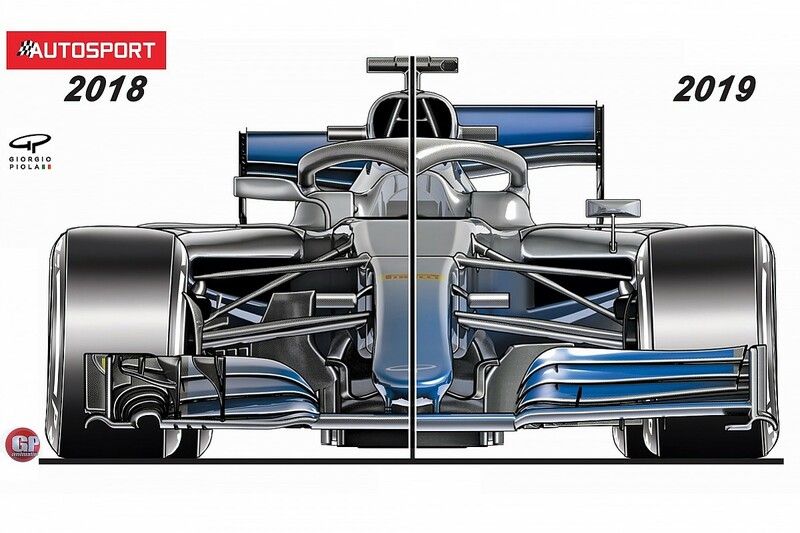 "The Overtaking Working Group came up with a perceived shape of endplate and certain areas where it should lie, but didn't tackle the shape of the devices, thus permitting very complex geometries to evolve. It was easy for teams to make endplates that were very curved, multi-element, extremely loaded devices that weren't helping these phenomena. "That coincided with a period where there was huge progress in CFD and the ability to see these flow features in detail compared with the rather ignorant past of aerodynamics in the late '90s. In 2009 the intention was right, but the way the rules were implemented to achieve that goal was insufficient. "The challenge we had this time round was to try and create sufficient detail. In the old days, rules were just 'exclusion' or 'inclusion' boxes describing the volumes within which bodywork may or may not lie. Since 2009, it has started to become about shapes, curvatures and protected areas. "The '19 regulations are an extra step in that direction. So we started talking about the orientation of surfaces. For example, there is reference to the normal vector to the endplate surfaces not being able to be beyond a certain angle, there is a reference to the surface of the wing profiles not being able to be beyond a certain orientation. "All of this is to ensure the front-wing endplate is only lightly curved and not as much as they are now, and that the main plane flaps don't have sudden discontinuations and changes of section that would create vortices to enable engineers to recover these effects." To everyone's surprise, the rules did get majority approval in time. But then began a long process of rule-wording refinement, clarification and optimisation. 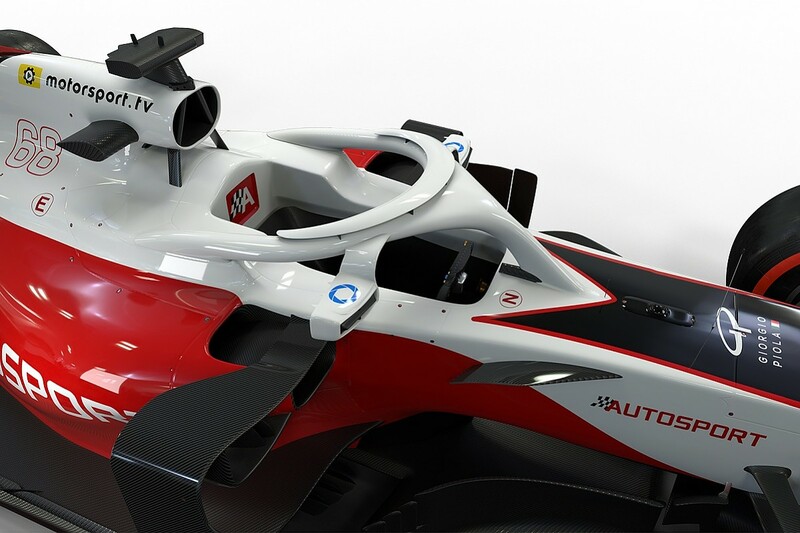 Recently, tweaks have been made to prevent front-wing flap adjusters being positioned and shaped to help outwash - such is the detail being explored to prevent teams regaining the same effects. "Teams have known since April 30 the fundamental design and nothing has changed in the concept," says Tombazis. "But a lot has changed in the wording, detail and there have been clarifications, which has been very time-consuming. "I have to say, I'm very pleased with how the teams have behaved in that process. They have been constructive, even if it hasn't always been plain sailing, and have been keen to avoid controversy in the first race. "There were quite a few phrases in the rules such as 'minimal' or 'for the purpose of...' which enabled us at the FIA to pull the reins back a little. This gave us a degree of leverage to refine things through the Technical Working Group meetings." Nobody is suggesting these regulations are anything other than an interim step before the potentially seismic 2021 changes. The expectation is that there will be no further tweaks for '20, which at least gives teams two years of stability. "We have 2021 only two years down the line and there will be big steps for that," says Tombazis. "We don't have any objective to do intermediate steps between '19 and '21, so '20 should theoretically be carryover, unless there is any gigantic loophole found that is undesirable, then we would do something. But I don't think that is going to be the case." 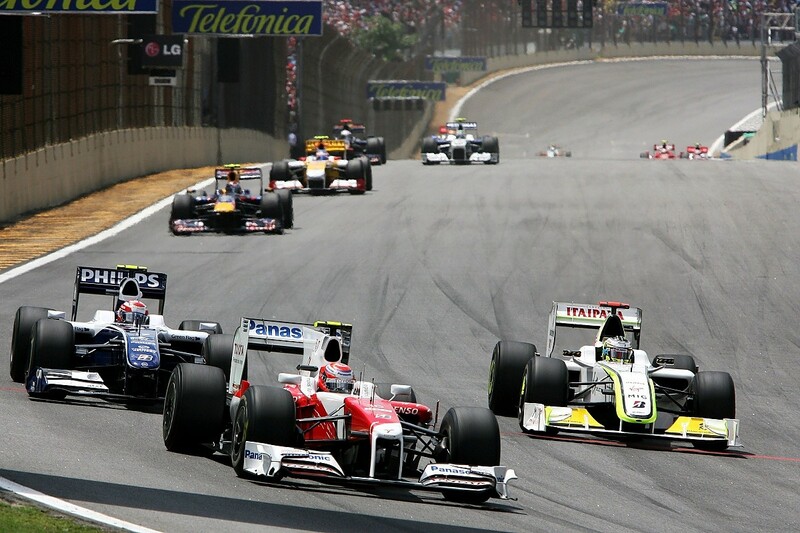 Key to these regulations is the relationship between the FIA and Formula 1. Former Benetton and Williams technical supremo Pat Symonds heads up the technical department at F1 that has been working on the research and development to conceive the 2021 regulations. The '19 application of some of the findings has very much been pushed by the FIA. "We are very close with Formula 1," says Tombazis. "We share the same objective to improve F1 as a sport and keep it sustainable, and we support the work they are doing and contribute to it. We, as the FIA, need to write the rules and have control of that. "But they have spent a lot of time and effort to contribute with the research, which frankly we would not have the resource to do. So it's a win/win situation. Sometimes we hear it's a separate project, that it's two separate organisations, but we do work closely. "This 2019 rule was very much an FIA development, not because there was any desire to make it 'my project versus their project' but because of time constraints. The rules were done within a couple of weeks. "For '21, there will be more extensive changes needing much more research, so they are doing a lot of work. We frequently have meetings about it, which I think overall is a good process." What we can be sure of is that, while this is a step in the right direction, it is only a very small step on the journey. It's unlikely that there will be a vast improvement in overtaking in the season-opening Australian Grand Prix in March. 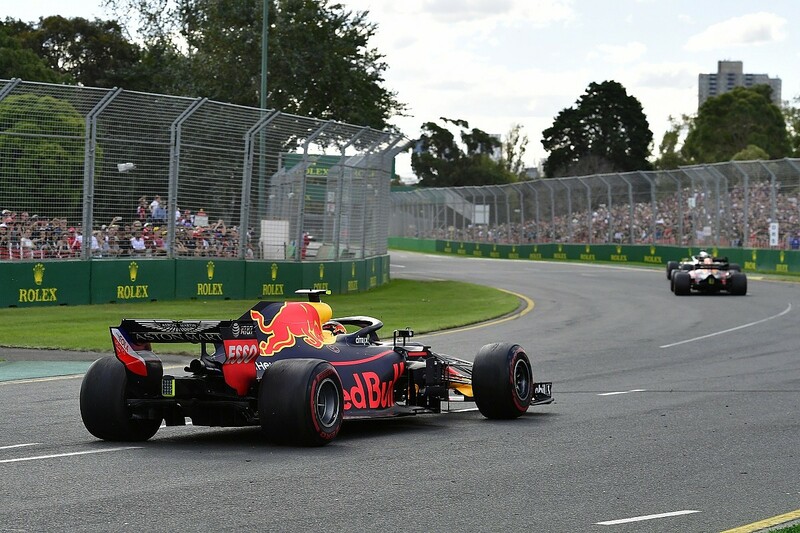 What's more, Albert Park is one of the worst tracks for passing, so we should also be careful about drawing too many conclusions straight away. But if these changes slightly ease the problem of following, or even just prevent it getting worse, it's arguably worth doing. Teams will criticise the cost involved, but at least the direction is well-researched. And from the fan's perspective, any disruption to the rules increases the prospects of a shake-up in the competitive order. "Australia is never going to be a massively entertaining circuit, and so I don't think we can really make a judgement for that," says Tombazis. "We'll have to see over a span of time. "Equally, if one team happens to do a much better job than everyone else, and is six tenths ahead of everybody else, then I regret to say that this could be a boring year. Because, no matter how close the others can get, if they lose touch with them after one lap, then that will not be particularly exciting. "All in all, we need to keep pushing on a range of things, whether it is the tyres, the sporting rules and so on, just to keep attacking everything we can. It is an important step towards 2021, but it is not '21. "We hope it is going to be an improvement and we believe it probably will, but if not it does not mean let's stop '21 and not change anything. Because in engineering, in science, you don't always hit it with the first attempt. Until we see how it goes, we will not be able to make any conclusions."